For over 100 years Oxford World’s Classics has made available the broadest spectrum of literature from around the globe. Each affordable volume reflects Oxford’s commitment to scholarship, providing the most accurate text plus a wealth of other valuable features, including expert introductions by leading authorities, voluminous notes to clarify the text, up-to-date bibliographies for further study, and much more. You can follow Oxford World’s Classics on the OUPblog, Twitter, and Facebook. The Italian is a gripping tale of love and betrayal, abduction and assassination, and incarceration in the dreadful dungeons of the Inquisition. Uncertainty and doubt lie everywhere. Ann Radcliffe defined the “terror” genre of writing and helped to establish the Gothic novel, thrilling readers with her mysterious plots and eerie effects. In The Italian she rejects the rational certainties of the Enlightenment for a more ambiguous and unsettling account of what it is to be an individual–particularly a woman–in a culture haunted by history and dominated by institutional power. 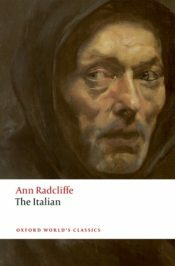 Watch as Professor Nick Groom, editor of the Oxford World’s Classics edition of The Italian, discusses Ann Radcliffe’s last novel and how she influenced Gothic literature. Featured image credit: “A 19th-century depiction of Galileo before the Holy Office” by Joseph-Nicolas Robert-Fleury, Public domain via Wikimedia Commons.